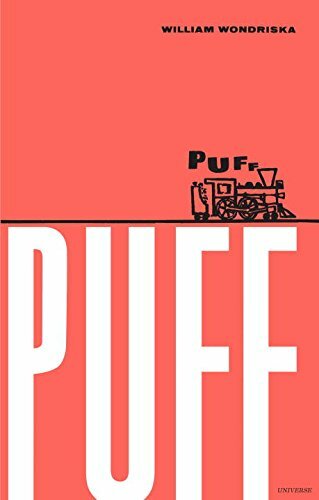 A review of PUFF by William Wondriska, a stunning, classic picture book for kids who love trains, plus ideas for activities, materials, and toys to extend the book. This post contains links to Amazon.com, Amazon.co.uk, and Amazon.ca. If you click on one, we will receive a small commission — at no additional cost to you — on anything you buy at Amazon for a certain length of time afterwards. Read our disclosure policy for more details. A reissue of a classic children’s book that’s beloved by the graphic design world, PUFF is big on visual impact, imagination, and charm. It’s also a great book to read aloud with a beginning reader, because the word PUFF is visually emphasized every time it appears. 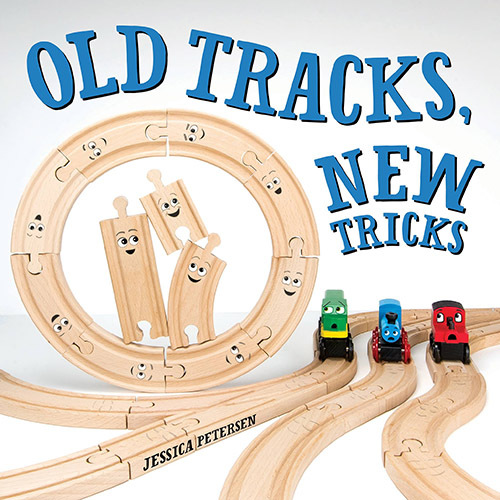 I highly recommend adding it to your train book library! PUFF is a little, old steam engine who never gets to leave the freight yard, unlike all of the big, new diesel engines. After PUFF daydreams about all the things he might do, he gets a real-world shot at meaning and importance when snow strands a circus train in his yard. He is coupled up to the circus train, and when he returns to the train yard, he feels the satisfaction of having done something important. The Moral of the Story: In comparison to other stories of the Little Engine That Could-type, where the loud-and-clear moral of the story is summed up in the Little Engine’s famous line, “I think I can!”, PUFF seems to say that even if you’re just a little engine, keep dreaming, and someday you’ll get the chance to do something important. Imagination: This is the part we really loved, and it’s the heart of the book. PUFF imagines many things: how his PUFF might sound in a canyon, what he could do if he could swim, what would happen if all the trains in the world were little PUFFs, where he might go if he traveled the world, or could blast to space on a rocket. Trains doing impossible things is always a thrilling idea at our house, but I also love that not all of PUFFs dreams are impossible. It models how a child could dream big and achieve a big goal that is satisfying, even if it’s not exactly how it was imagined. Because the typography is a big part of the visual appeal and pictorial storytelling in this book, it’s hard to separate the text from the images. But when I read through and focused just on the words, I was really impressed at how Wondriska put so much poetry into a plain, economical writing style. My favorite page, as far as the writing goes, is late in the book where the circus train pulls into the freight yard and all the animals are upset. A writerly note on the plot: most of the emphasis is on the daydreams that PUFF has while sitting in the train yard, and the heroism of the act of pulling the circus train safely through the snow is passed over in the last page turn at the end. PUFF makes no choice to pull the circus train; he is just coupled up by rail workers. While that does deprive him of the chance to solve the problem in the plot himself — something that is almost always considered an absolute necessity in today’s children’s books — it is a much more realistic kind of anthropomorphism for a steam engine than we see in most stories. PUFF is all about its graphic design, and the way words are emphasized within it. PUFF himself is always represented by the same black-and-white outline drawing of a steam engine with the letters P-U-F-F coming out of its funnel as its smoke and steam. Wondriska goes on to play with that image, repeating it in red over an entire page to represent a world full of PUFFs, turning it sideways, juxtaposing it with simple red silhouettes of world landmarks and rocket ships. Words are enlarged and emphasized with different fonts and mixed up on the page to dramatize the story. This book is a treasure of the graphic design world for good reason. 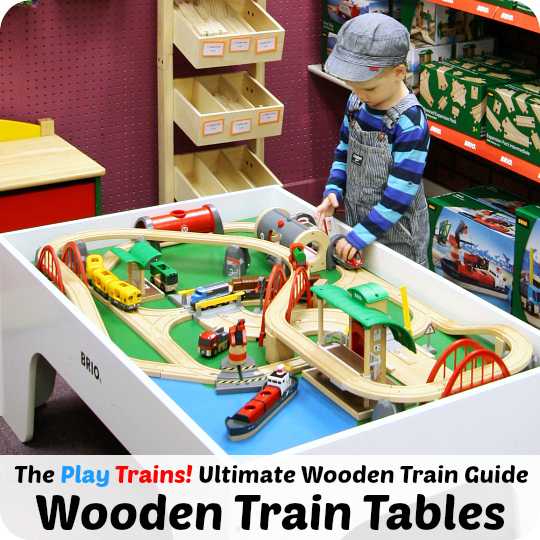 Train Play: have your child’s toy trains visit world landmarks, pull toy boats across “water”, or blast off to space in a rocket! 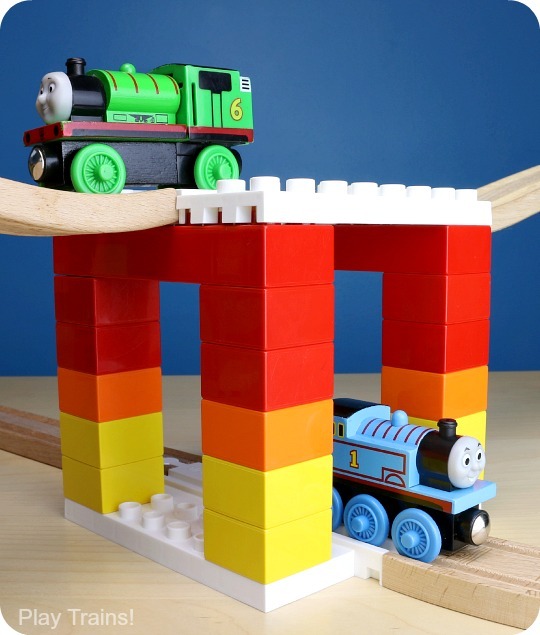 You could use toys to represent the landmarks/boat/rocket, or print off or draw your own pictures and place them around a train layout. Have your child point to every PUFF in the book. Follow along with your finger as you read the book aloud, and have the child read all the PUFFs. Count the PUFFs in the book. Help your child think of other words that end in -uff, then come up with a train story that includes all the words. 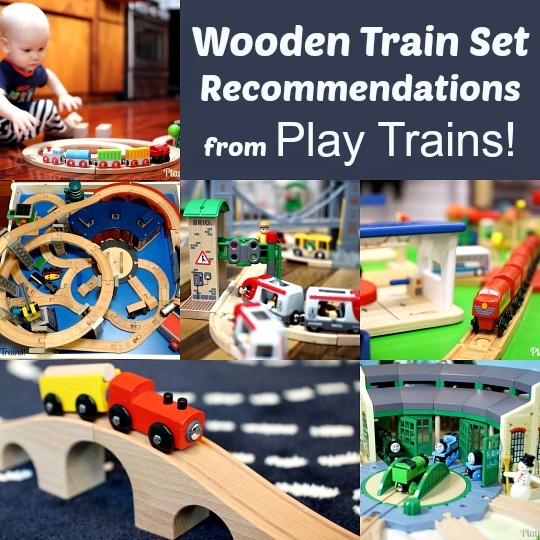 Then play out the story with toy trains! Compare Similar Books: Read PUFF and The Little Engine That Could one after the other. How are the stories similar? How are they different? 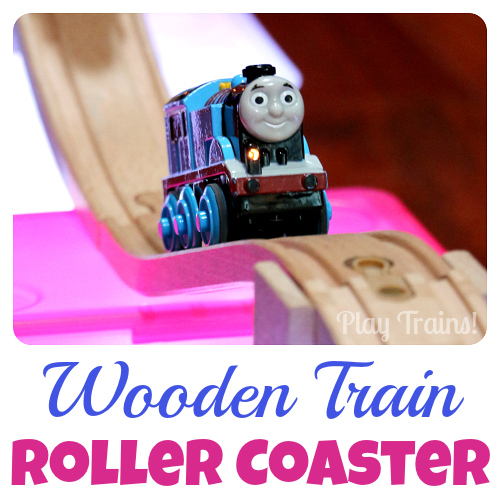 Thomas Wooden Railway Circus Train 3-Pack: The circus cars that come with this pack are very useful as freight cars, too. Green Toys Rocket Ship: Green Toys are high-quality, earth-friendly, and kid-safe, plus they’re adorable! 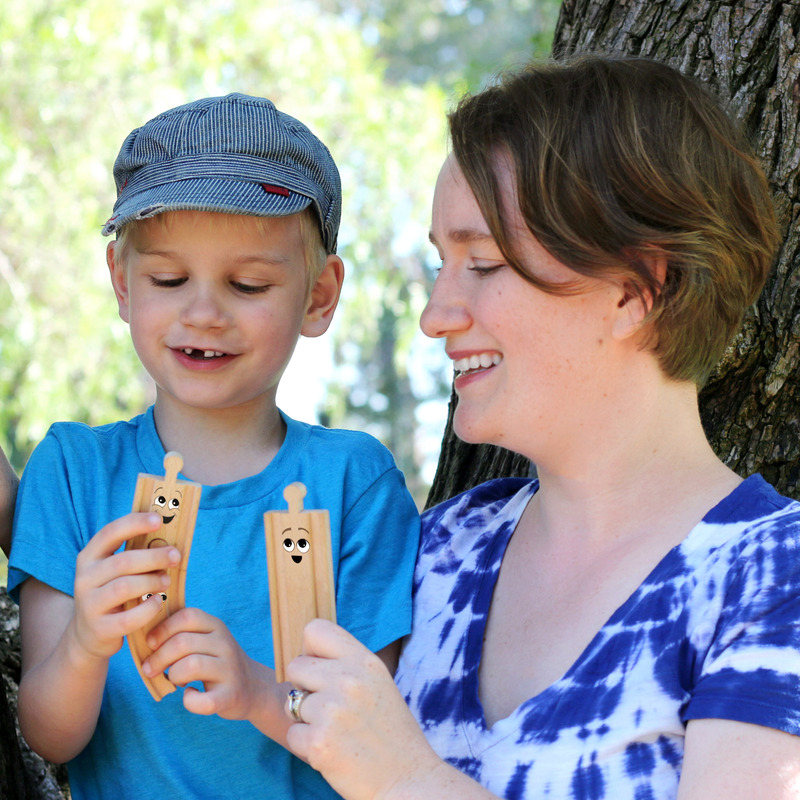 We love this rocket, and it would be perfect for a little wooden “PUFF” to chug up and then blast into space on. 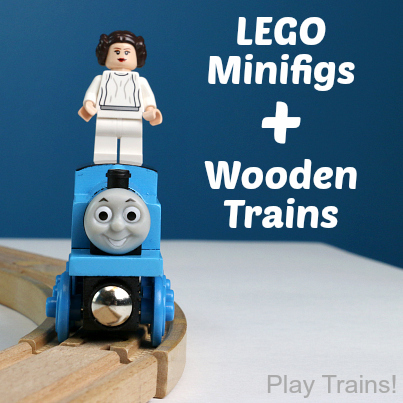 Looking for the perfect train set for your little engineer? 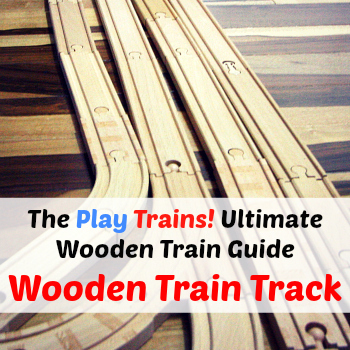 Check out our guide to the best wooden train sets!